Spliffin offers a selection of cannabis oils for vaporizing, We expertly blend our proprietary extracts and enhancers to suit each patient’s individual preferences. Patients can select their preferred strain, their choice of euphoric and medicinal levels of THC and CBD, and combine their choices with Spliffin’s unique flavoring options. Tobacco flavoring and nicotine infusion are additional options. Additionally, Spliffin offers high end and proprietor vaporizers at reduced costs to assure pleasurable and effective recreational and medicinal results. 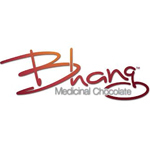 CANAPA is a California-based medical cannabis company that offers high quality cannabis edibles and wellness products. We are a team of health-conscious entrepreneurs and cannabis connoisseurs dedicated to creating healthy, cannabis infused products. 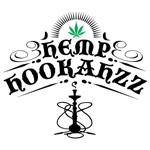 Hookahzz is proud to introduce e-Hookahzz and e-Liquids infused with cannabidiol (CBD), the premium alternative to a revolutionary delight.